Classic red gets a tasteful update in this patriotic summer spray paint project. Star Spangled Shutter was designed by Roxi Phillips. Sand the shutter to remove gloss from previous paint and to smooth out the surface. Fill any holes or dents with wood filler (if desired). Let dry and sand smooth. Wipe down all surfaces with a tack cloth to remove dust. Paint the entire shutter with Krylon® ColorMaster™ in Dover White. 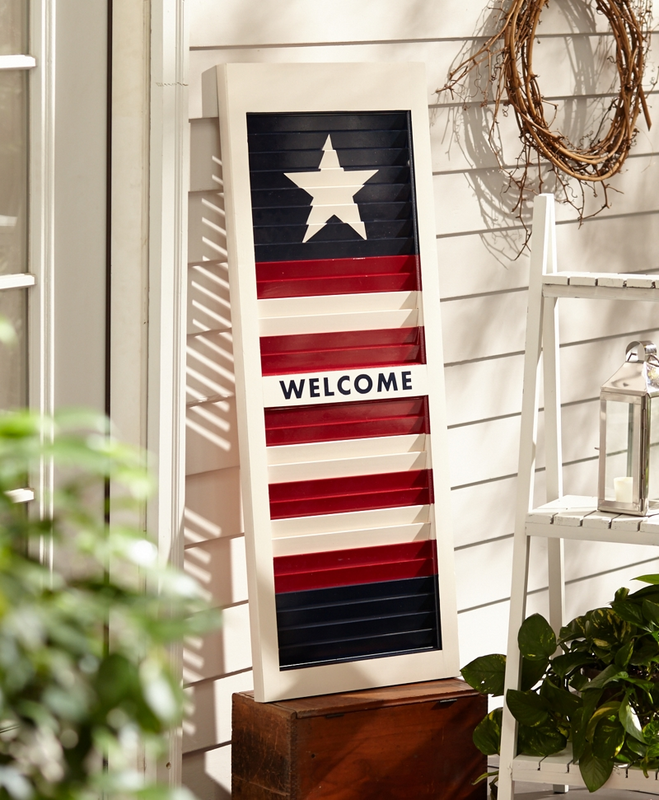 Create a vinyl stencil or use a stencil of your choice for the star and Welcome. Mask off all of the areas except the areas that will be painted blue using the photo as a guide. Paint the blue areas with Krylon® ColorMaster™ in Navy Blue. Let dry. Remove masking. Re-mask the shutter, leaving all of the areas that will be painted red exposed. Paint the exposed areas with Krylon® ColorMaster™ in Burgundy. Let dry. Remove masking. Make sure to mask off the slats of the shutter by wrapping the tape over the slats to prevent the colors from bleeding into areas where you don’t want it.